Game Warden Alert! - Lake Houston Fishing! Post subject: Game Warden Alert! Post subject: Re: Game Warden Alert! good lookin' out, thanks for the heads up. 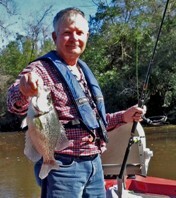 crappie. Also other illegal game fish. Me too. I hate it on Lone Star Law when they “give them a break”. Throw their arses under the jail!! !